PepsiCo Inc., the US-based drinks, food, and snacks giant, is acquiring Israel’s SodaStream, a home seltzer machine company, for $3.2 billion in cash. In a statement on Monday, the US company said it had acquired all of the outstanding shares of SodaStream for $144 per share in cash, a 32% premium on its 30-day volume weighted average price. “PepsiCo and SodaStream are an inspired match,” PepsiCo chairman and CEO Indra Nooyi, who earlier this month said she plans to step down, said in a statement. The Israeli company makes “great-tasting beverages” while reducing the amount of waste generated, she said. And this is aligned with PepsiCo’s philosophy of “making more nutritious products while limiting our environmental footprint,” added Nooyi. The deal will enable PepsiCo to reach customers at home, rather than just at stores, CNBC reported, and comes as grocers are witnessing changes in purchasing trends, with more shoppers buying their products online. 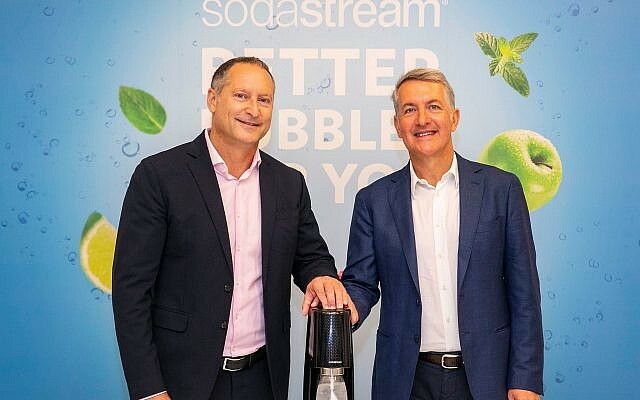 The SodaStream team will have access to PepsiCo’s capabilities and resources to take the firm to “the next level,” he said. The acquisition is PepsiCo’s largest in eight years, Bloomberg reported. The Israeli firm, whose Nasdaq traded shares have surged 123% in the past 12 months, according to data compiled by Bloomberg, forecast revenue for 2018 to rise by some 23% year on year. PepsiCo generated more than $63 billion in net revenue in 2017, by sales of its popular items like Frito-Lay, Gatorade, Pepsi-Cola, Quaker and Tropicana. SodaStream, founded in 1991, makes and sells seltzer machines for home use. The foot-and-a-half-tall machines turn still water into seltzer in 30 seconds. The company also markets dozens of mix-in flavors, such as cola, ginger ale, lemon-lime and fruit punch. Its 3,500 employees produce about 500,000 devices per month, which are sold in 46 countries around the world. The $3.2 billion purchase saw the US beverage giant continue its efforts to contend with falling demand for sugar-laden soft drinks, especially sodas. SodaStream makes machines that carbonate home tap water. The acquisition also is a pitch to consumers concerned about mounting waste from soda cans and plastics in landfills around the world, since SodaStream employs reusable bottles. In October 2014, SodaStream announced it would close its West Bank factory in Maale Adumim and move to southern Israel, ostensibly in the face of international pressure from the Boycott, Divestment and Sanctions movement, or BDS, which seeks to hurt Israel’s economy over its policies toward the Palestinians. The movement claimed that SodaStream discriminated against Palestinian workers and paid some less than Israeli workers. SodaStream said the opposite — that it provided work for hundreds of Palestinians on the same terms as Israelis. SodaStream said the opposite — that it provided work for hundreds of Palestinians on the same terms as Israelis. Some 500 Palestinian employees lost their jobs at that time. Israel gave the remaining 74 employees permission to enter the country and continue to work for SodaStream. 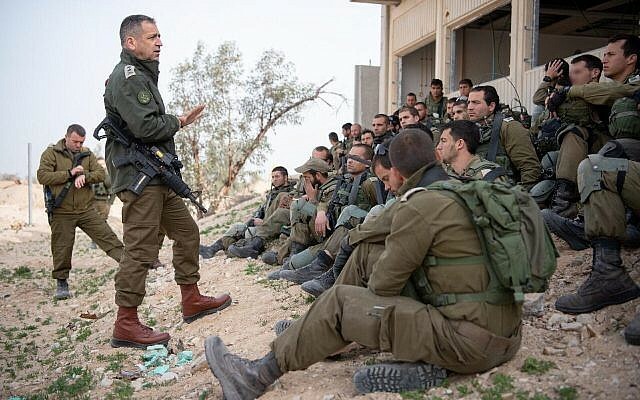 The company now has more than 1,400 employees in the Idan Hanegev industrial park near Rahat, one-third of them Bedouin Arabs from the surrounding area. SodaStream CEO Birnbaum has bitterly criticized Prime Minister Benjamin Netanyahu, accusing the premier’s office of deliberately blocking permits for Palestinian workers and denying the company relocated due to boycott pressure. JTA and AFP contributed to this report.